This week I am on the Microsoft Campus for the MVP Summit. Last night was Product Group Happy Hour, when we get to chat with the Product Teams and give feedback on the product. They are always so nice and eager to hear from us. Last night I was talking to two people from the Azure Boards teams. I told them how much I like the new boards and I love the Show Team Profile feature. They were so excited about this, in their minds no one ever used this feature. 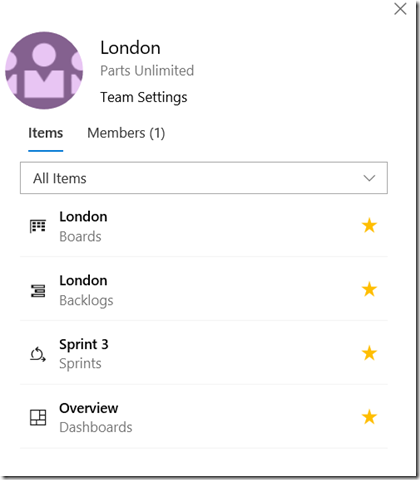 This is a great navigational tool in Azure boards, and I promised to blog about it so others would know. 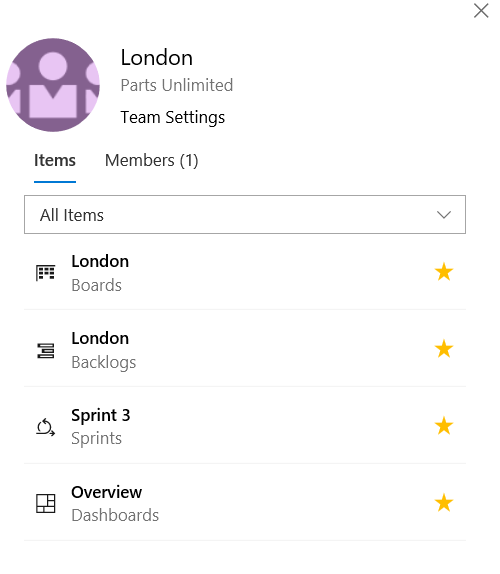 When you are looking at anything to do with a team, Backlog, Board, Sprint there is an icon to the right of the team name. Clicking on this icon takes you to a pull out at the right of the browser with links to other areas of Azure Boards for this team. As you can see from the screen shot below I get quick navigation to Boards, Backlogs, the Current Sprint, Dashboards and even a list of team members. Also if you click on Team Settings it will take you to the Team configuration page under Project Settings. ObjectSharp started doing a podcast here is the first one. 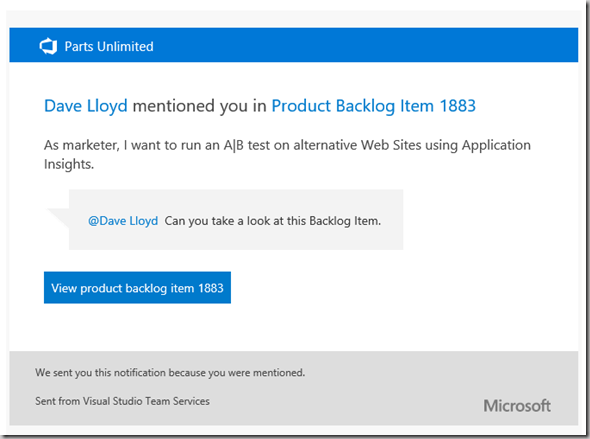 VSTS gets a new look and name. 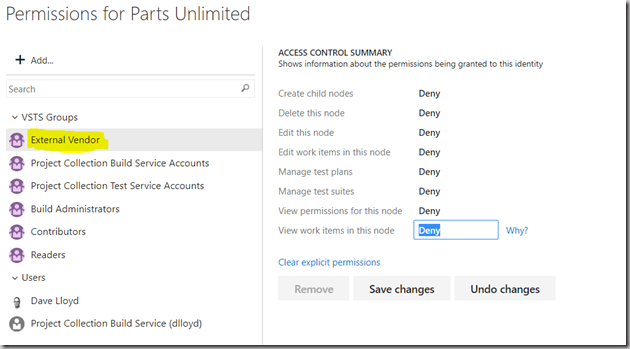 This morning Microsoft announced Azure DevOps, the next edition of VSTS. What’s different? It has a new look with better navigation. And you can pick and choose what parts you would like to use, getting the extra stuff you don’t use out of your way. 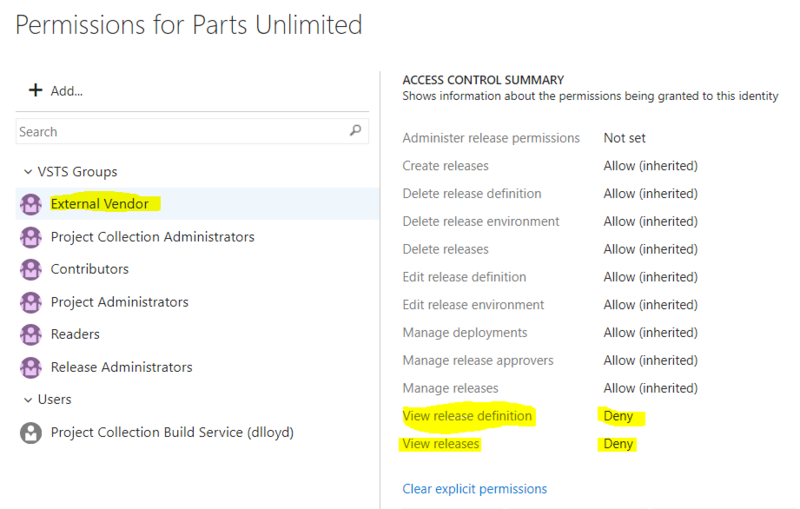 Or use them all together for that wonderful integrated experience you only get from Azure DevOps. I thought I would try my hand at creating demo videos or specific topics around VSTS. 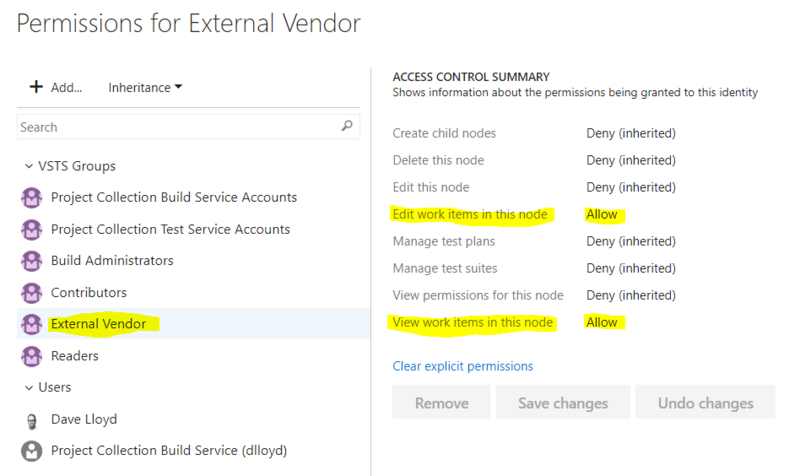 One topic I get asked a lot is how to give VSTS access to an external Vendor so we can assign work items to them, yet keep them from seeing everything else. Here is my first shot at such a Demo Video. A lot of customers I work with have external vendors. They would like those vendors to have their own backlog of work we can assign to them. However they don’t want them to be able to see all the other work items, and sometimes Builds or Releases. You can use Stakeholder access level. But sometimes that is too restrictive. If you want them to have Basic or better access but limit their view. Create a Team for the vendor and add all vendor resources to the team. If they don’t need a backlog and will just run queries for their work. you can just create a Group instead of a Team. Make sure someone at your company is the team administrator. 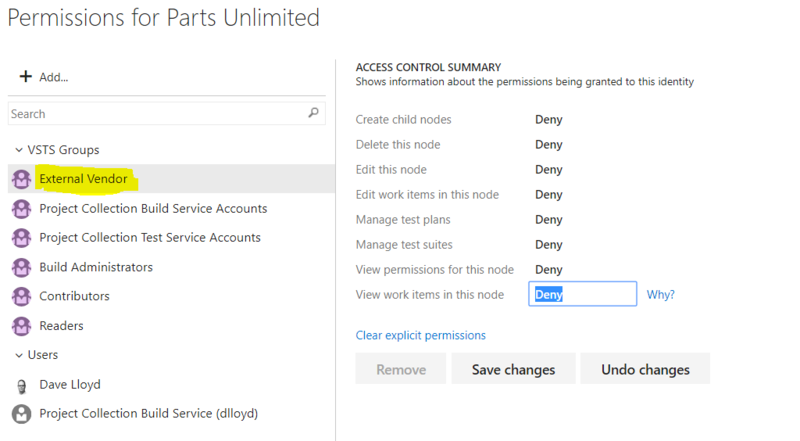 Change their permissions for Edit work items in this node and View work items in this node to Allow. To make sure they can’t see Builds and Releases. 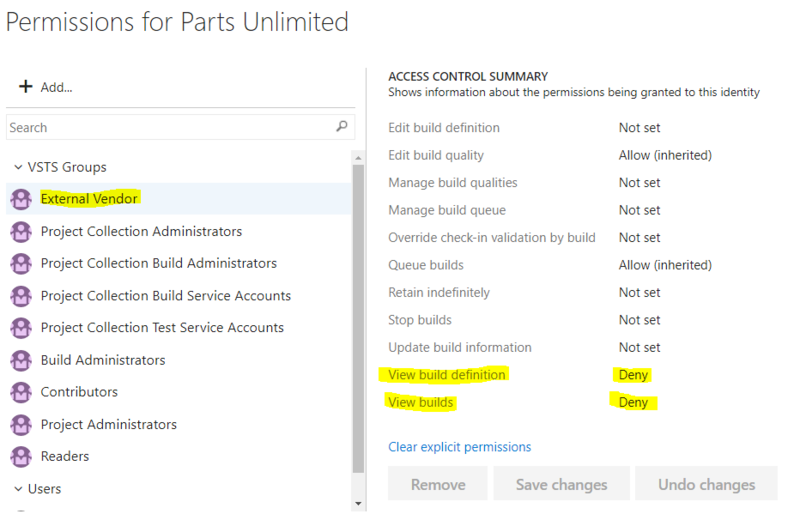 Navigate to Builds and click on the Security button at the top of the build list. 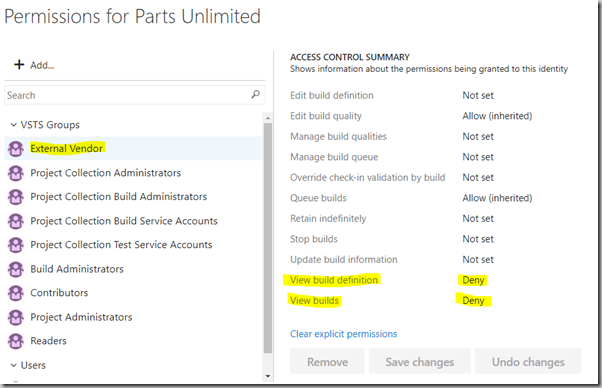 @CurrentIteration was a long awaited feature in TFS/VSTS. It was very exciting when it came along and we could create queries that would work sprint after sprint without having to update at the start of each sprint. Now they just got better, @CurrentIteration now takes parameters. Pass it a Team to get the current iteration for that team. Which also gives us the ability to reference different current iterations in the same query. And finally, you can now query for past or future iterations just by including +n or –n. Check out Lauren Brose’s blog for all the details. I find a lot of people don’t know about @mentions. 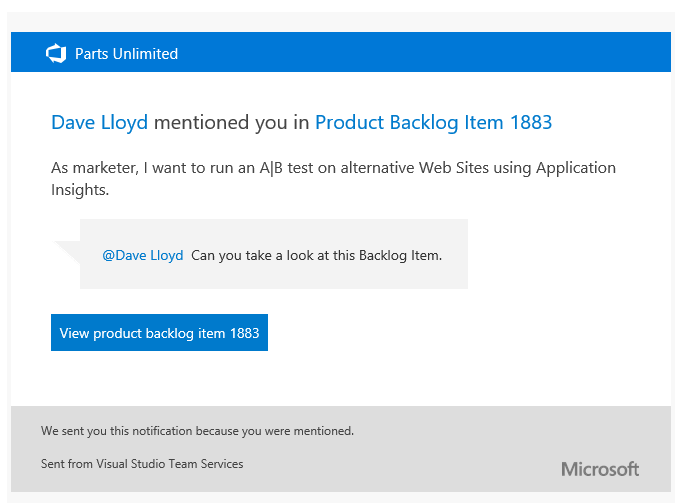 @mentions allows you to bring someone into the conversation around a work item. All you have to do is type an at symbol “@” into the discussion field. Once you start typing the user search will appear similar to when you start typing a user name into the assigned To field. Once you find the person that you want to bring into the conversation you just mention them in the Discussion field. The person you mentioned will receive an email letting them know they were mentioned. I did a presentation back in the spring at my user group TALMUG on SQL Server Data Tools. I enjoyed it so much I am doing it at 3 other user groups. If you want to learn how to work with SSDT and create a CICD pipeline for your SQL Server Database come on out to one of these meetups. I have many customers who keep spread sheets in version control for various reasons. Why they do it is not the purpose of this post. 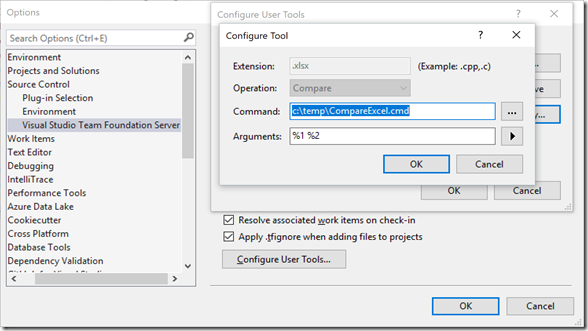 The point is about using the Compare feature in TFS/VSTS on Excel Spread sheets. I recently discovered an easy way to compare the difference between two spread sheets, and how to hook that up to Visual Studio so I could right click compare right from Team Explorer. 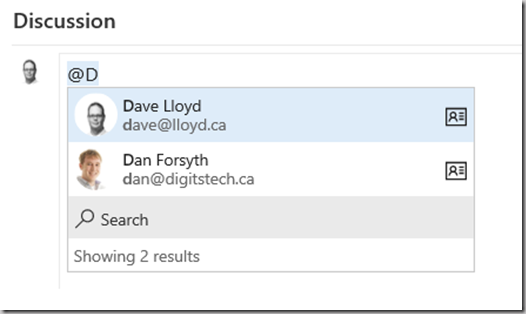 This is for Office 2016. You can do it for older versions however the location of SpreadSheetCompare.exe may be different. Write a batch file that writes the file names of the two files you want to compare to another file. Then call SpreadSheetCompare.exe passing in the file containing the two file names. "C:\Program Files (x86)\Microsoft Office\Root\Office16\DCF\SPREADSHEETCOMPARE.EXE" "c:\temp\temp.txt"
You can store the batch file in version control that way as long as the users get latest on this file they will have it locally. Or just give it to the people who want to do this and they can put it anywhere on their machine. Hook this up to the Compare menu item in Team Explorer and VS: In Visual Studio open Tools –> Options, navigate to the “Source Control” section specifically “Visual Studio Team Foundation Server”. 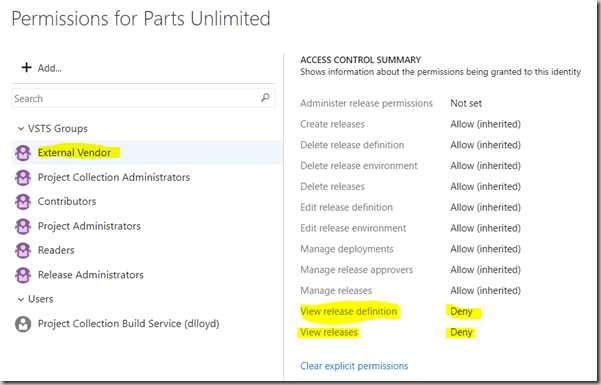 Open the “Configure User Tools…” dialog. Add the .xlsx file extension calling your new batch file and passing in the two files to compare (default behaviour). Now when you right click compare an Excel spread sheet in version control you will launch the SpreadSheetCompareTool that comes with office. The link is to a video showing that. Which I tried to imbed in my blog but there are issues apparently that I don’t have time to research right now. One of my clients just did some stats for their management team. In 2017 the teams at this client ran 6000+ Builds and 2000+ automated Releases. It really shows just how much TFS has become a part of their Application Lifecycle. What is more impressive is that these are not just .NET apps. 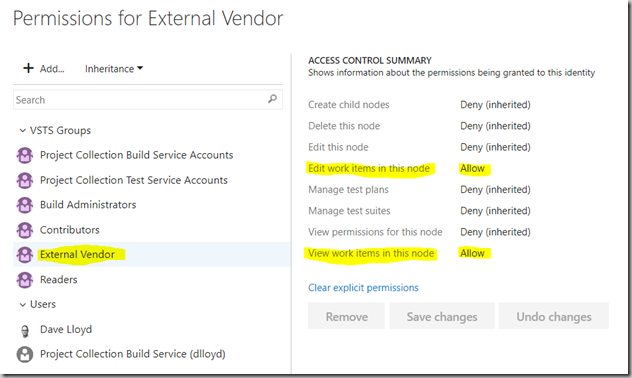 These builds and releases include technologies such as .NET, SQL Server Databases, Neuron (ESB), Dynamics CRM, SSIS, Duck Creek Technologies, GMC, Master Data Services, SharePoint and some I can't recall right now. It's a great story of TFS getting the job done in a not totally Microsoft environment. So when someone tells you “We don't use VSTS/TFS because we are not a Microsoft shop”. Ask them what that has to do with it and share this story with them.